Genuine black jasper, an I Ching coin, carved wooden beads, and a waxed cotton cord combine in a unique and attention-getting necklace. 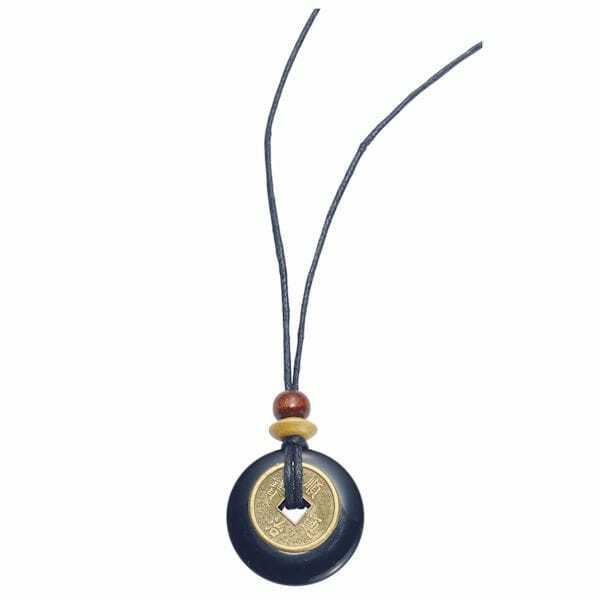 It's believed that black jasper guards the wearer against danger, and that the I Ching coin brings wealth, good luck, and protection. Pendant is 1"; cord adjusts 15-30". Made in USA.